This weekend was my first stall at Thought Bubble comic art festival in Leeds. 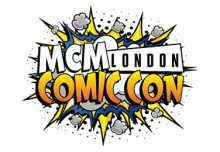 It’s a really friendly event, with lots of independent self-published artists and DIY comics. This makes for a huge range of art styles and it’s a great opportunity to pick up artwork and prints. 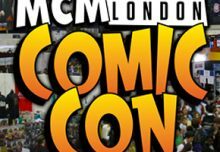 There are two halls full of tables, as well as talks and workshops, comic book awards and a whole programme of events during the week running up to the convention. This year was the biggest ever, with twice as many visitors as last time! 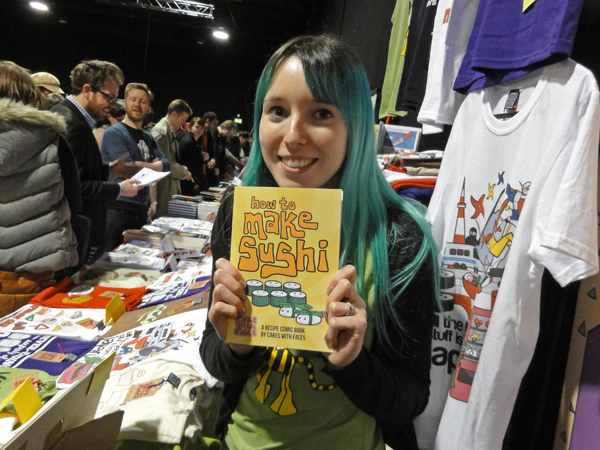 I was proud to launch my very first comic book, which is a recipe book about how to make sushi! It actually works (if you follow my Twitter you’ll know that whenever I’m at home for the weekend I like to have Sushi Saturday and spend the afternoon making a sushi feast!) and includes instructions in comic style about how to make hosomaki, futomaki, nigiri, edamame and gyoza. It took AGES to draw, so I have a huge amount of respect for all the artists at Thought Bubble who’ve created series of comics – you work very hard! The sushi comic was the most popular item, and it feels good to be spreading the sushi knowledge – I heard a LOT of stories of failed sushi-making. Once you get the knack it’s not that hard but you do need to be precise and cook the rice correctly, and have good attention to detail so your rolls don’t fall apart! The book was available on its own, or as a set with a rolling mat and 2 pairs of chopsticks (which sold out!) so I’ll be getting some more for Hyper Japan next weekend. Got a feeling there’ll be quite a few people who like sushi there…! The Christmas cards also made their first appearance of the year – it’s not too early is it? They’ve also sneaked back into the shop if you want to order any…. On Saturday night I went to the Thought Bubble mid-convention party, at the grand venue of the Leeds Corn Exchange. Again, it was a really good atmosphere (people really are friendlier up north!) with a dance floor like no other – where else would you hear War of the Worlds in a DJ set??! 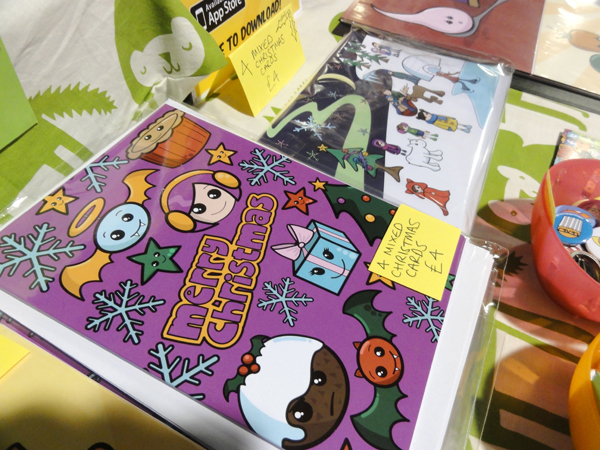 And now I’m getting ready for Hyper Japan Christmas, which starts on Friday! !